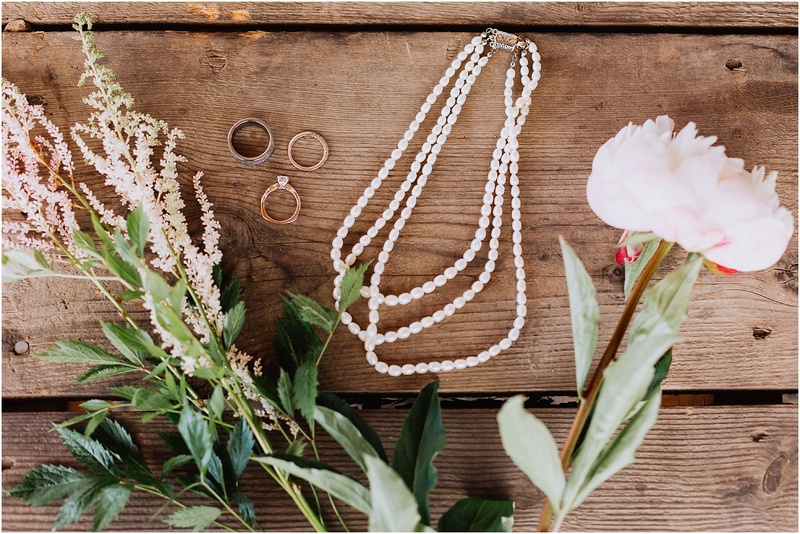 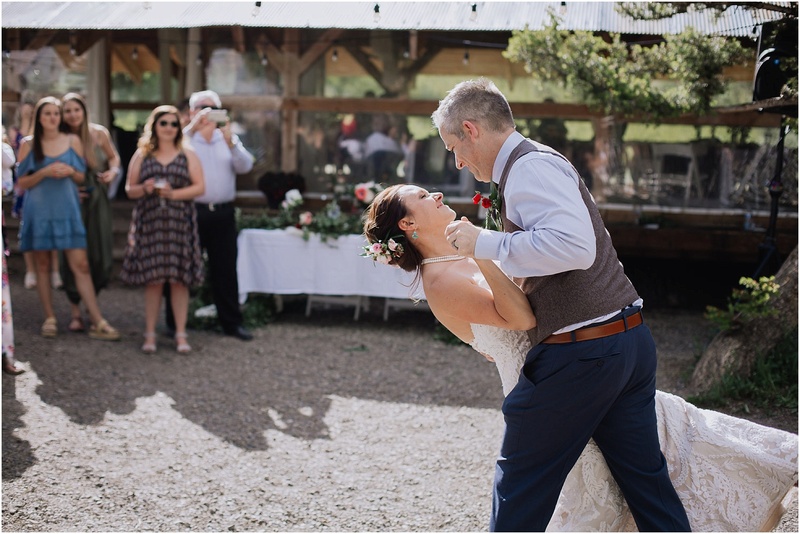 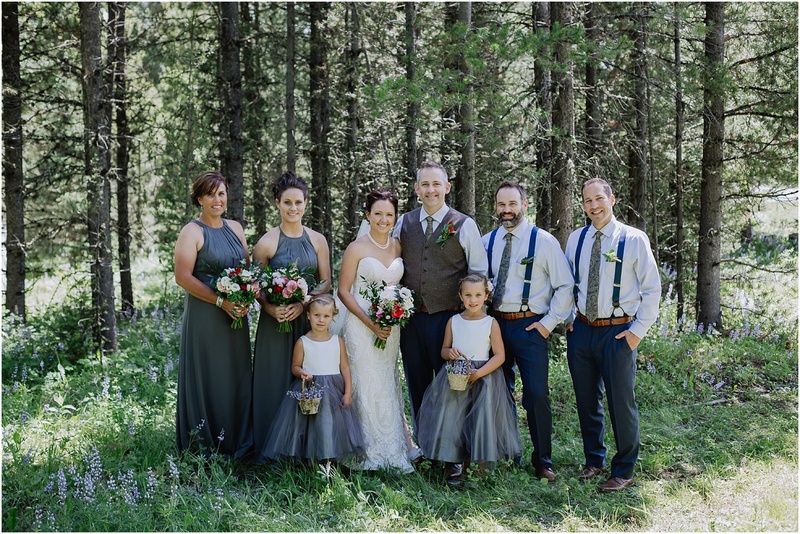 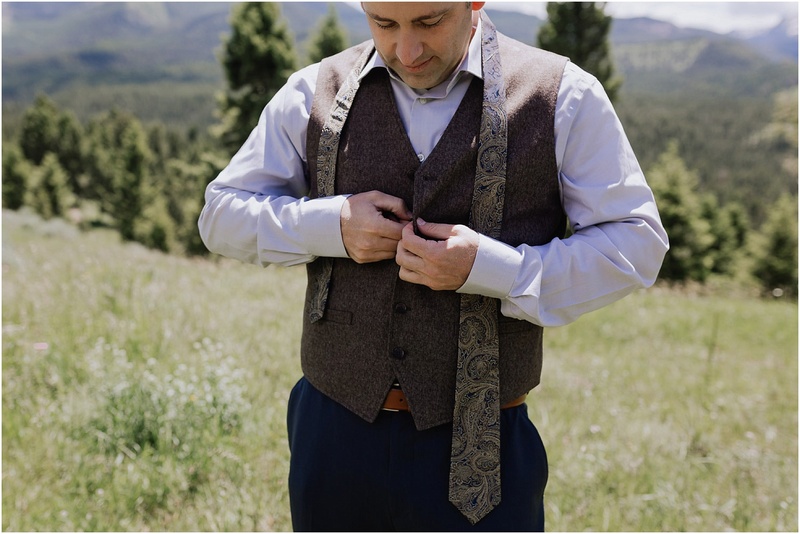 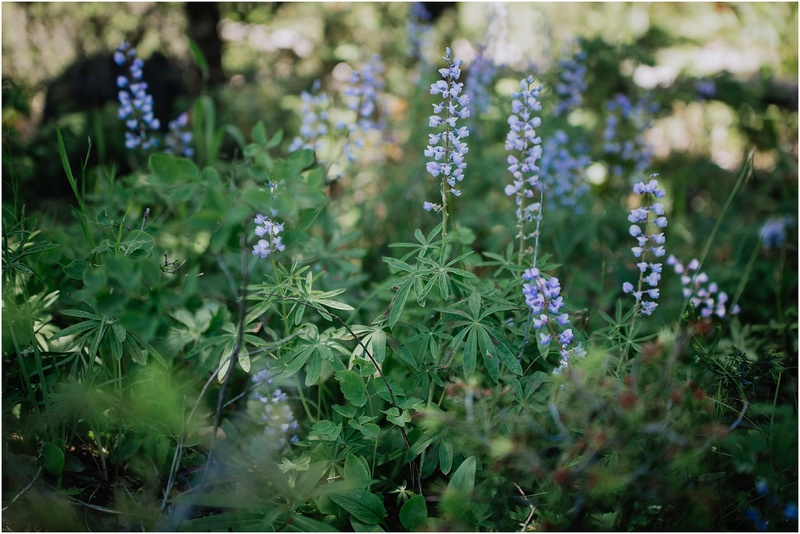 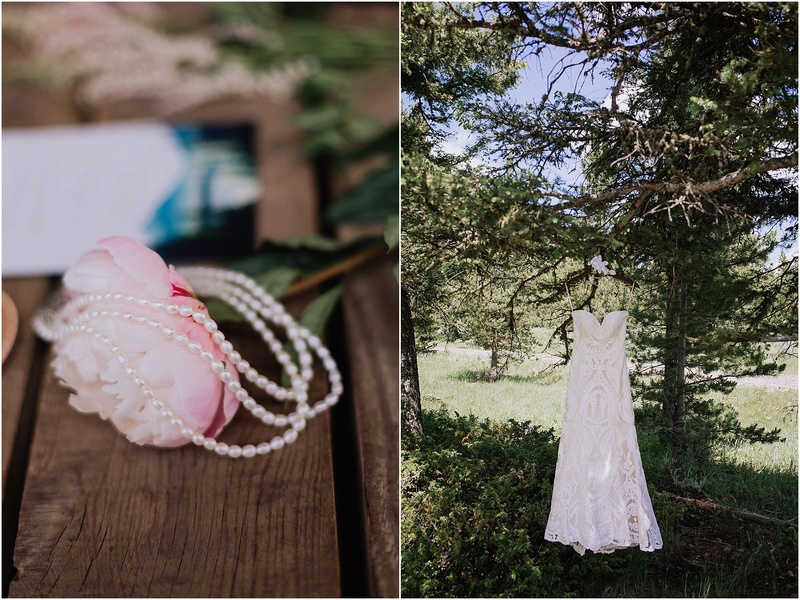 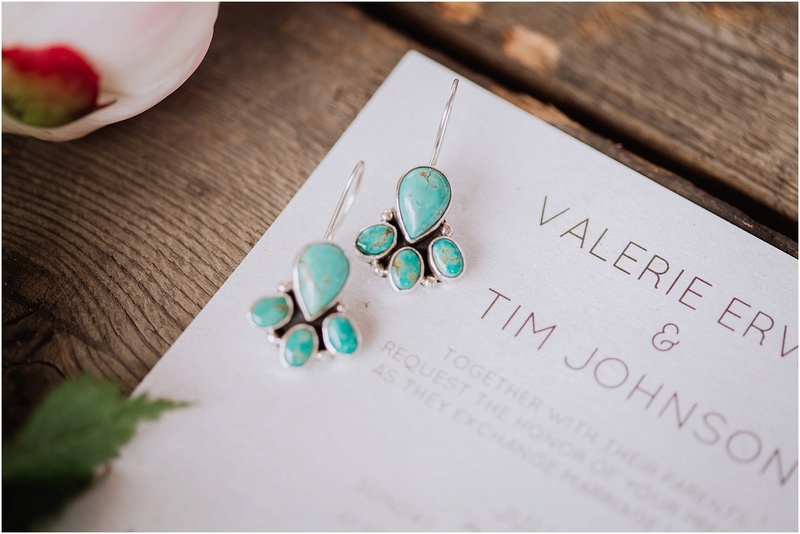 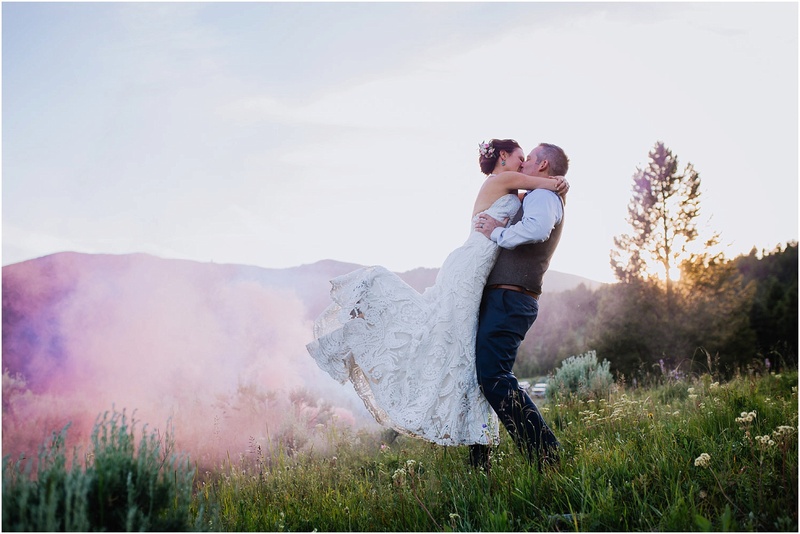 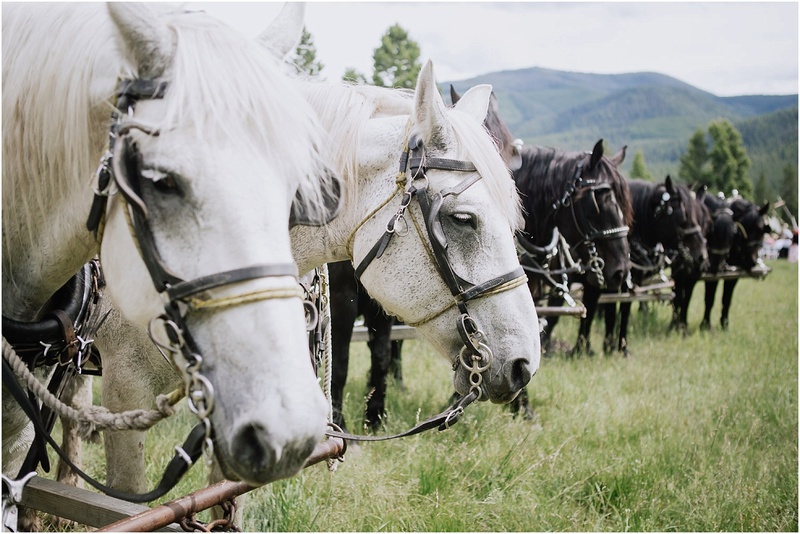 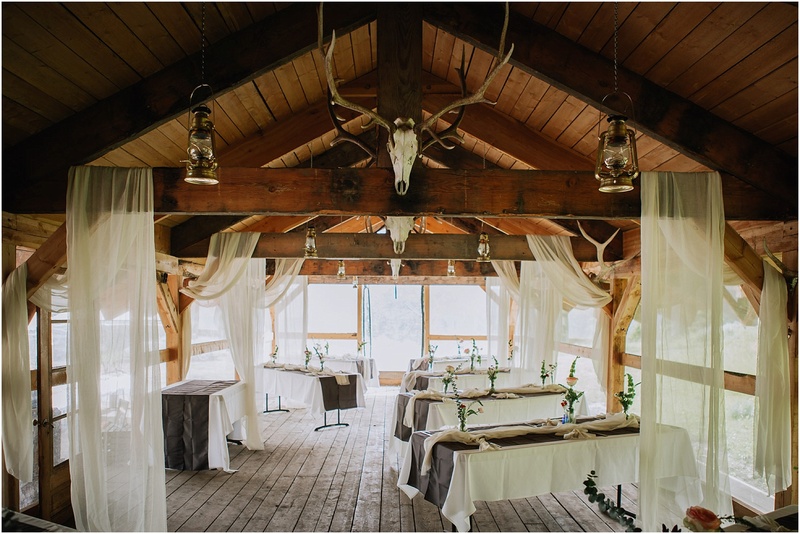 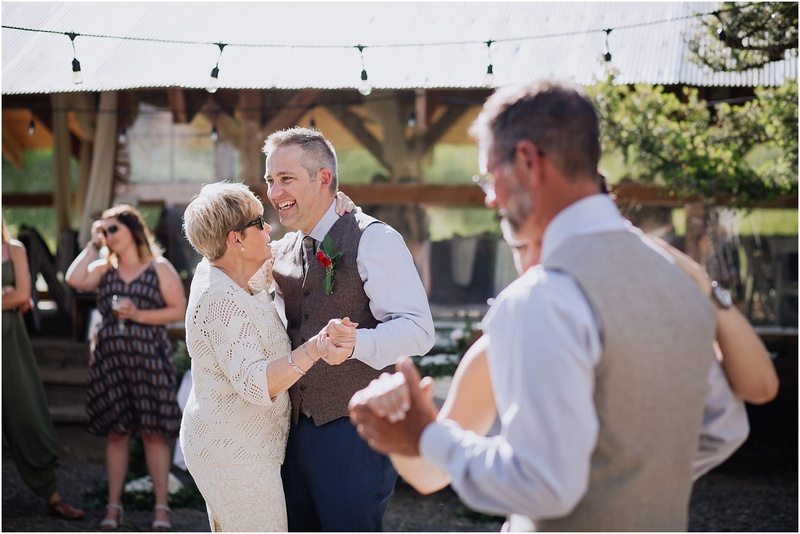 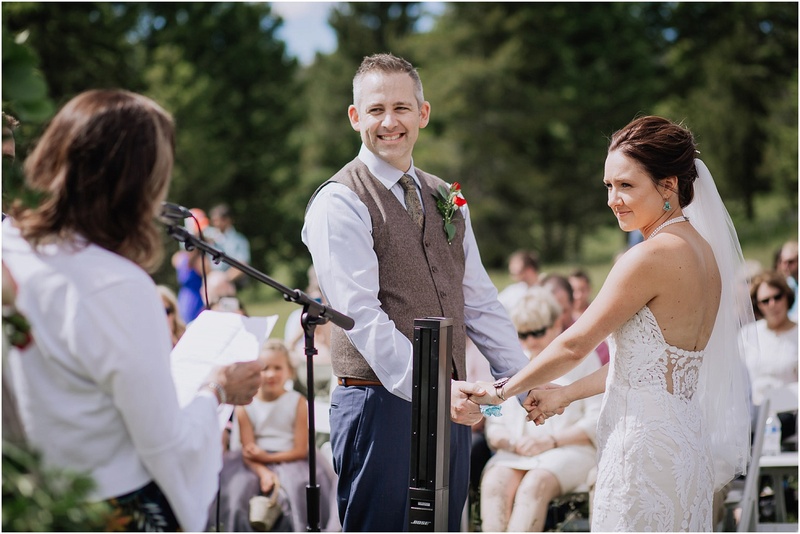 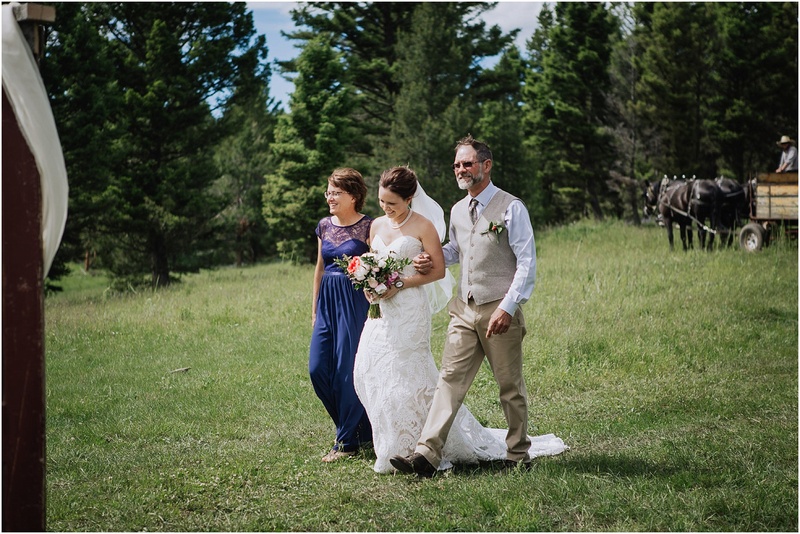 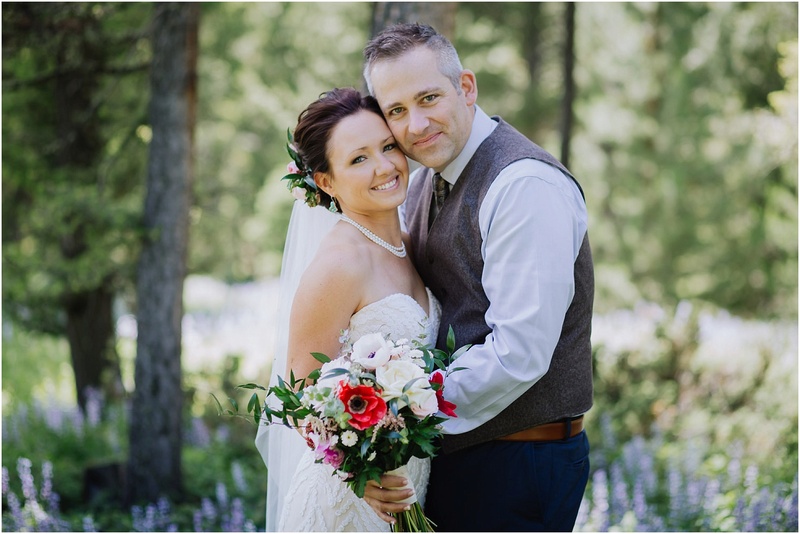 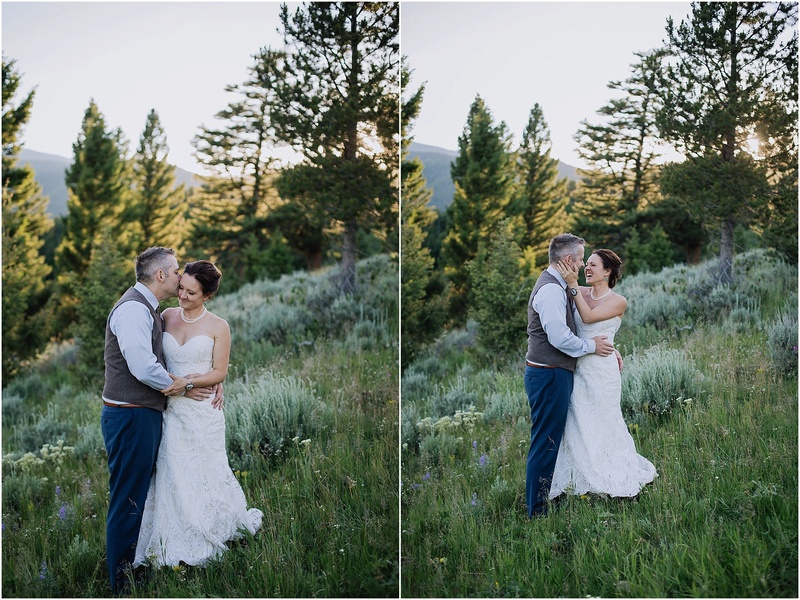 Valerie and Tim’s wedding at Cache Creek Outfitters was a day of happy tears. 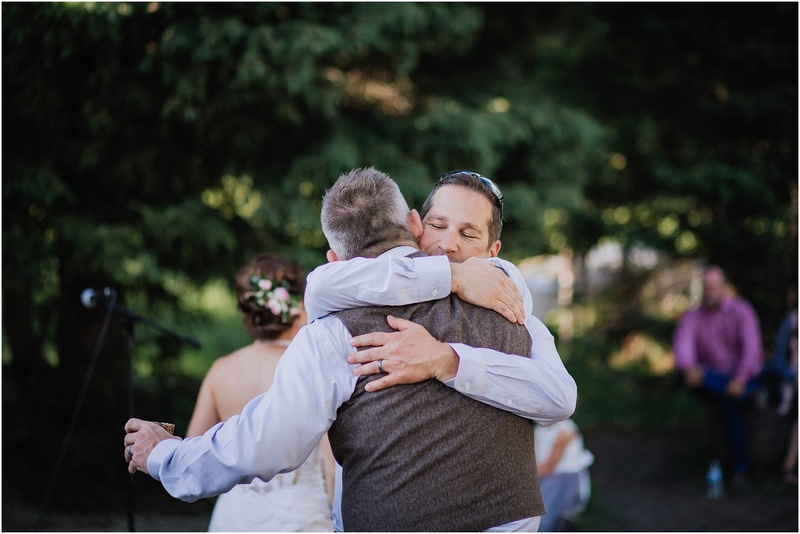 Every time I turned around someone was getting a hug or some side eye where they were both trying to hold it together. 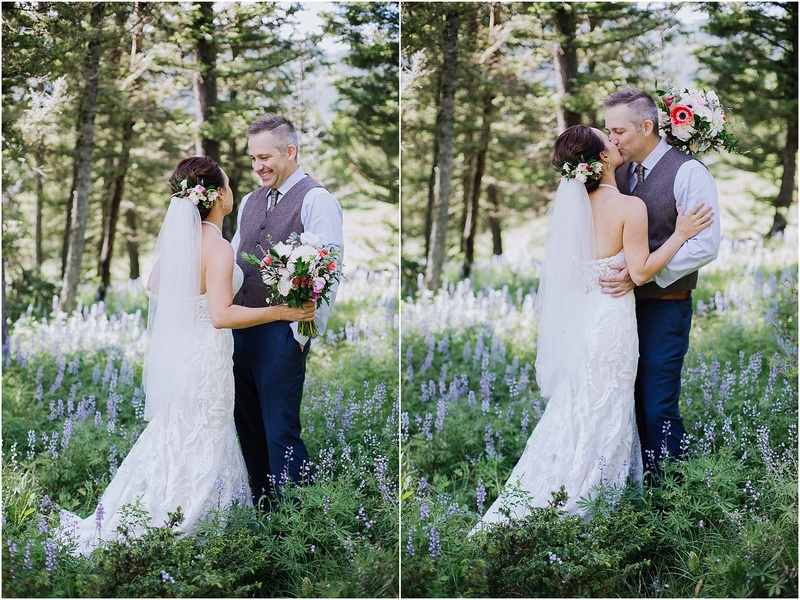 Even Tim, who pretty much could not stop smiling all day was ready to lose it when he saw Valerie for the first time. 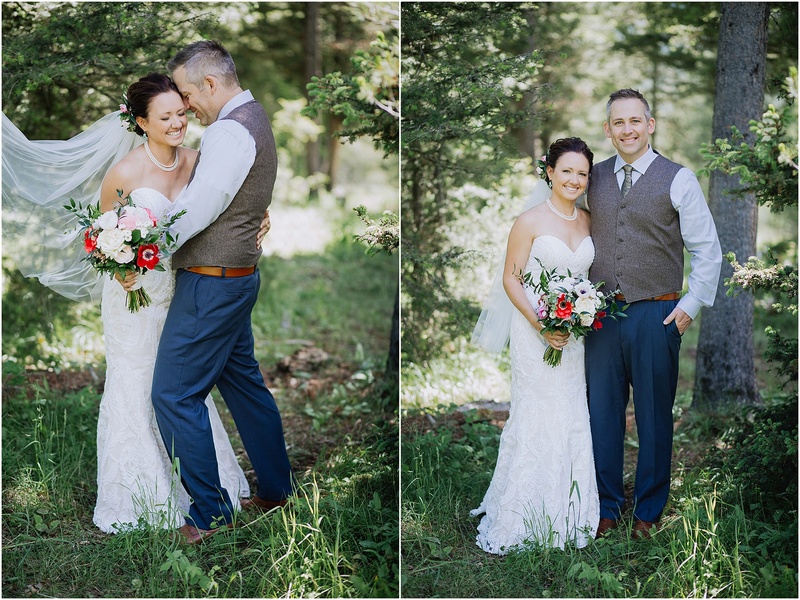 Check out the shots from the first look. 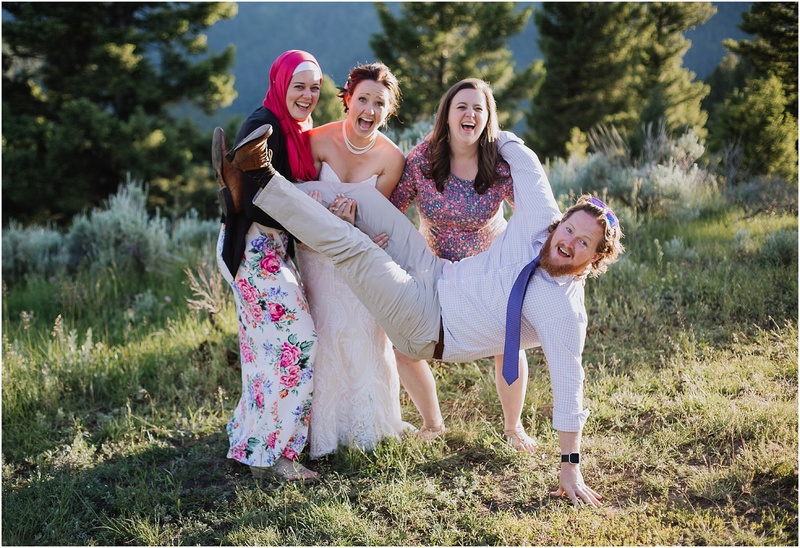 Those moments are one for the books, you guys. 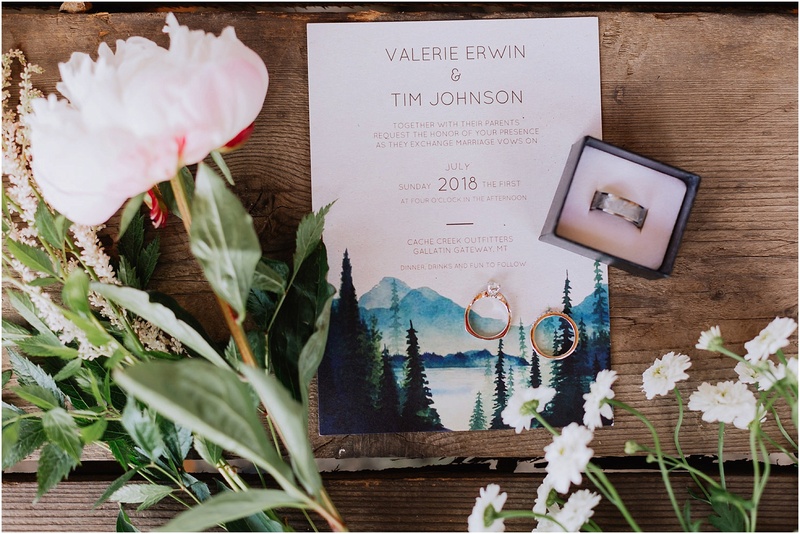 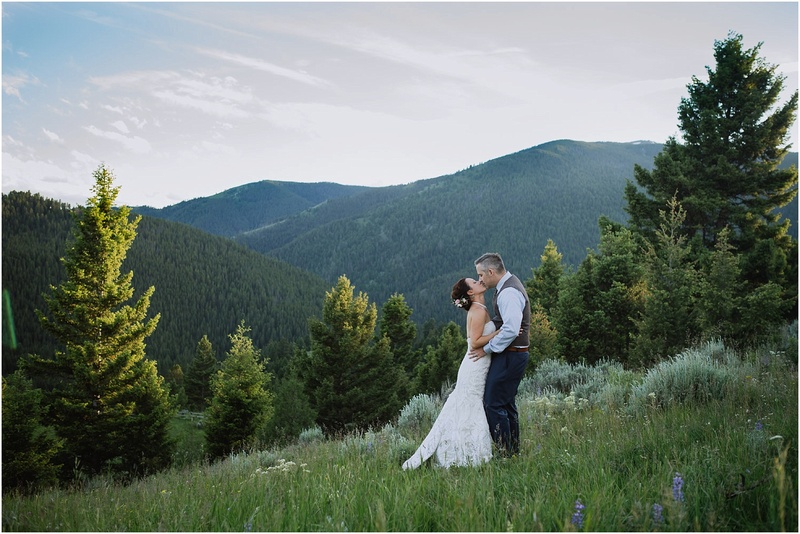 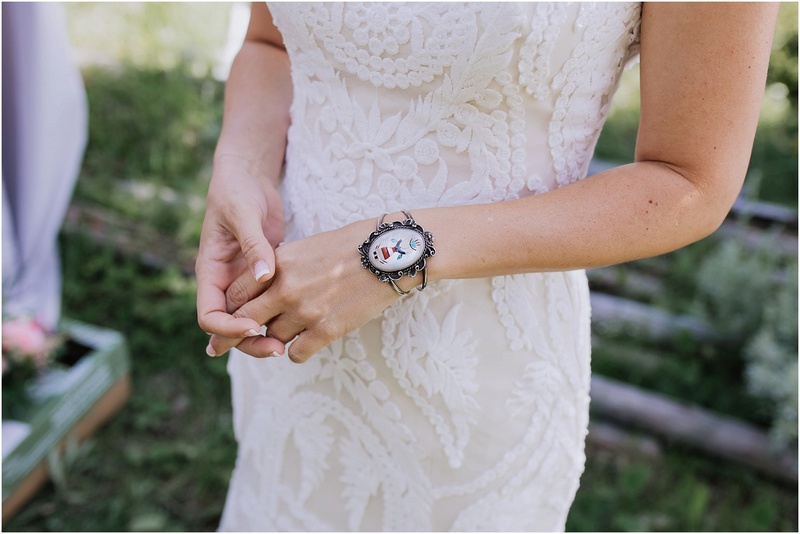 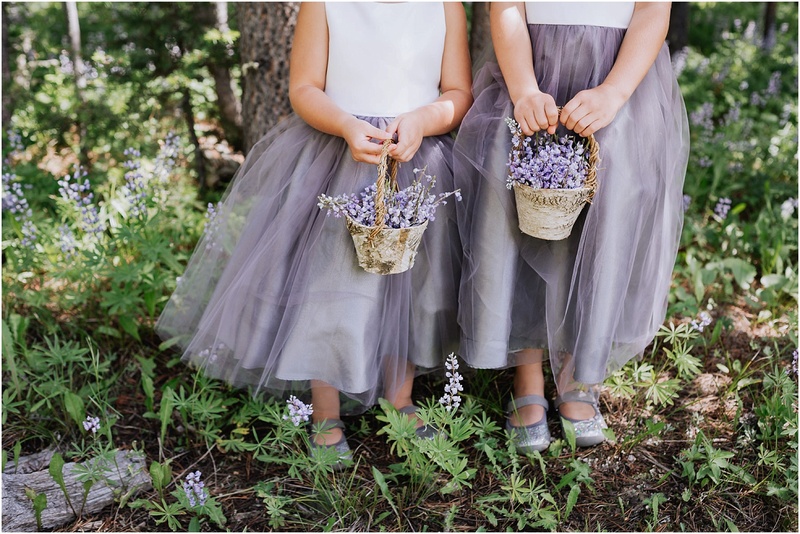 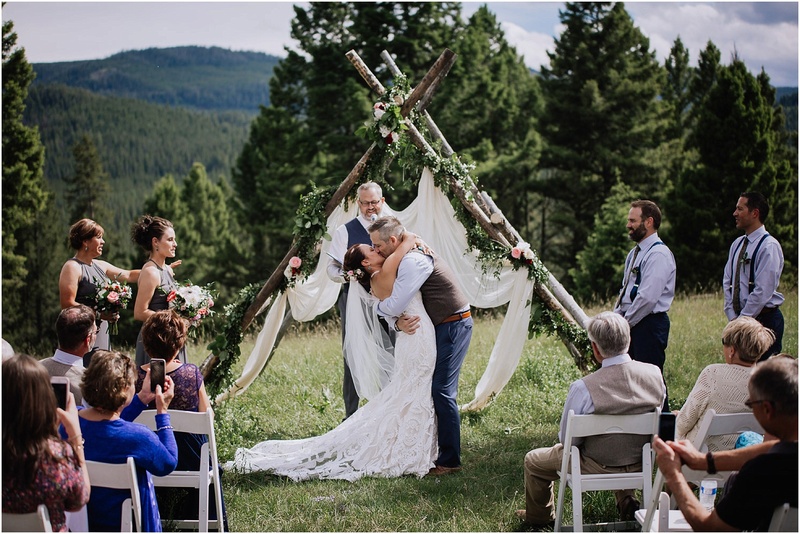 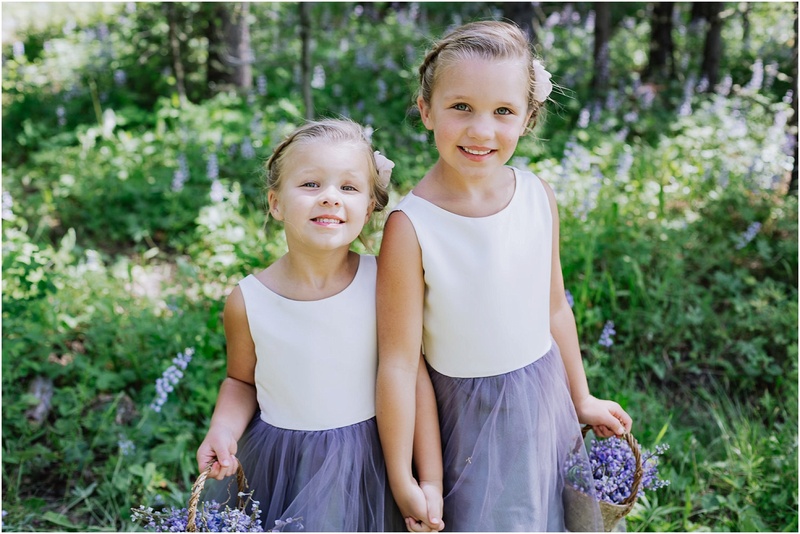 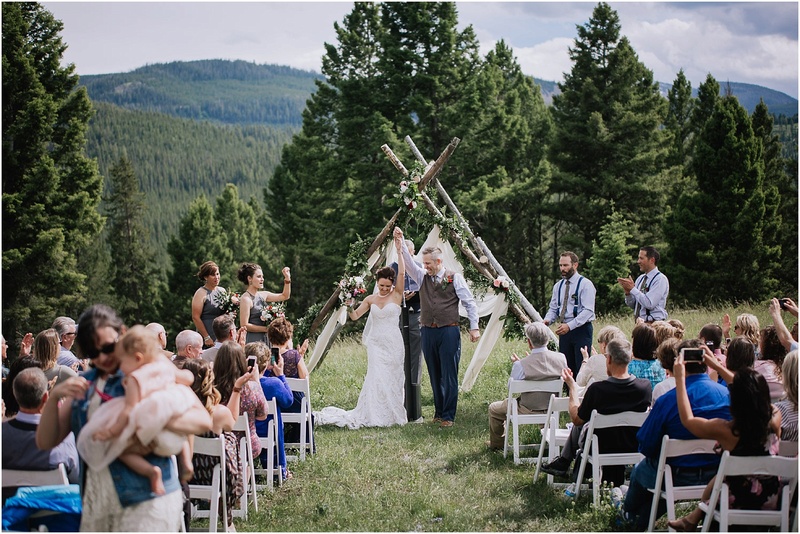 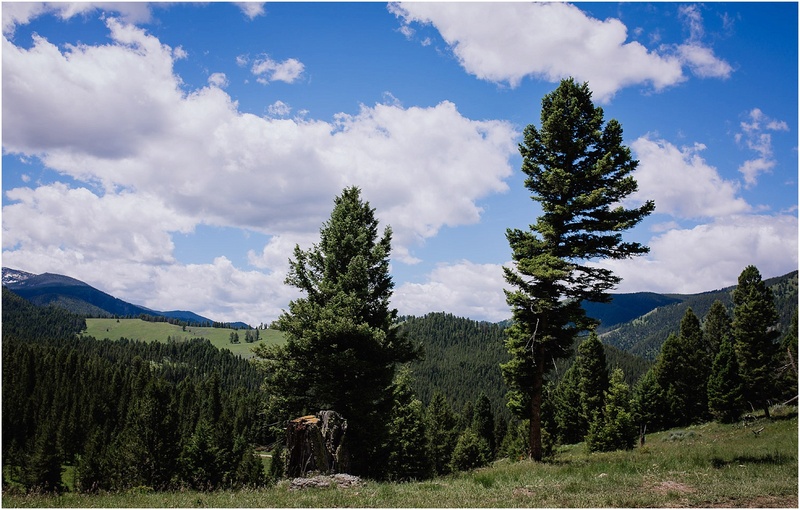 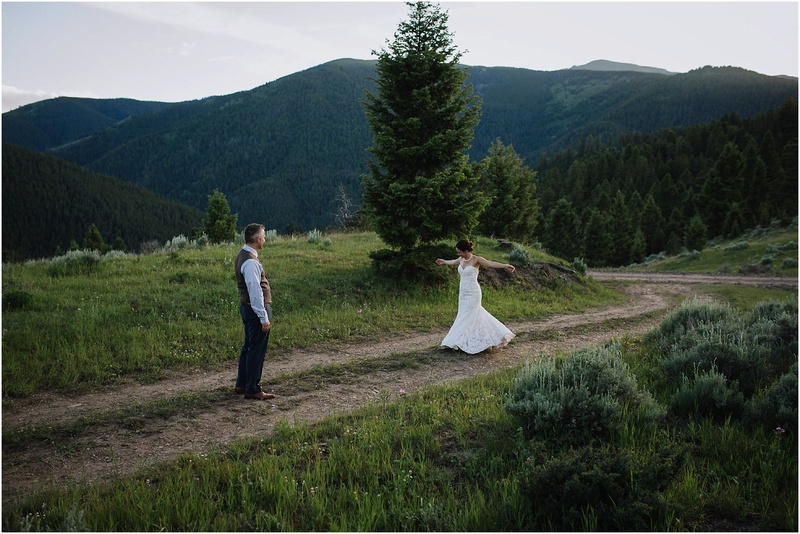 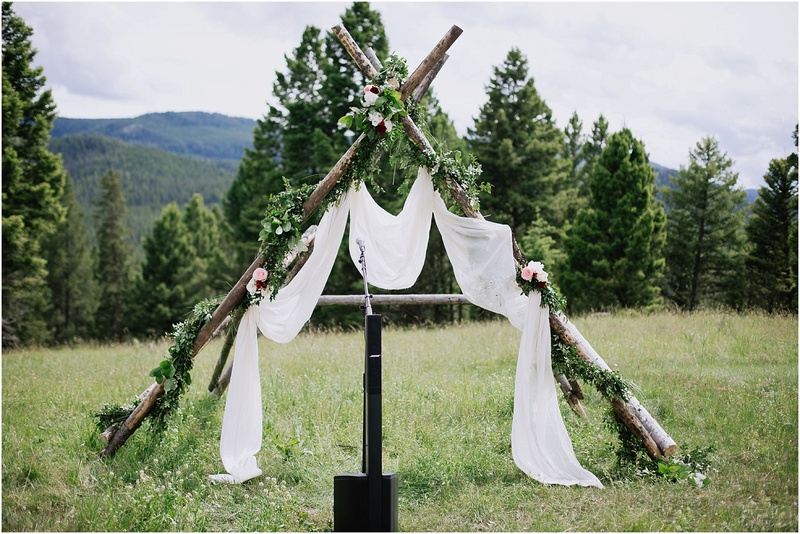 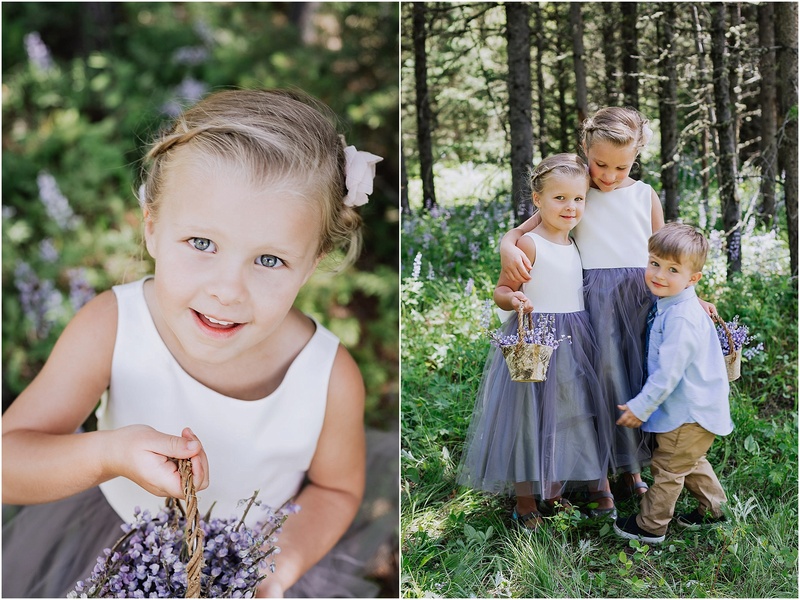 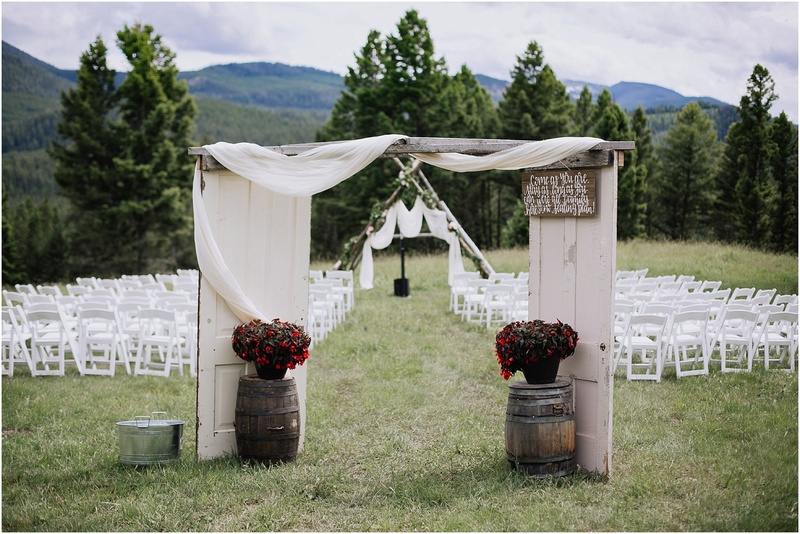 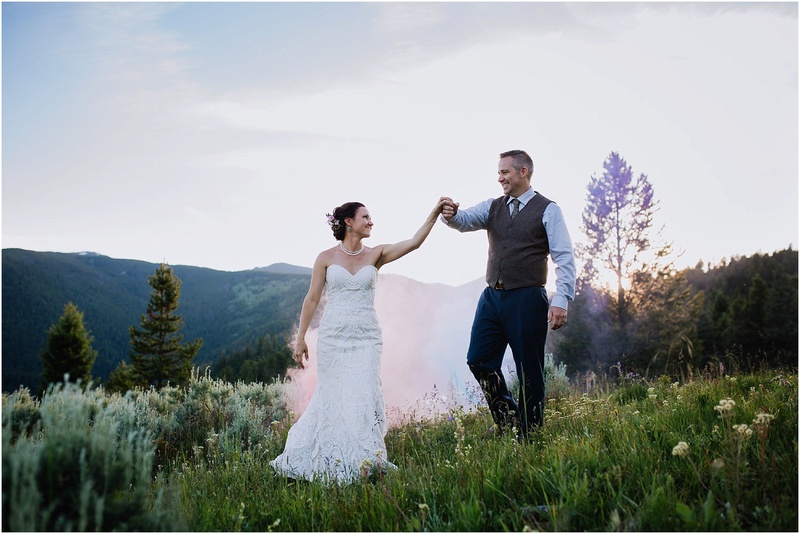 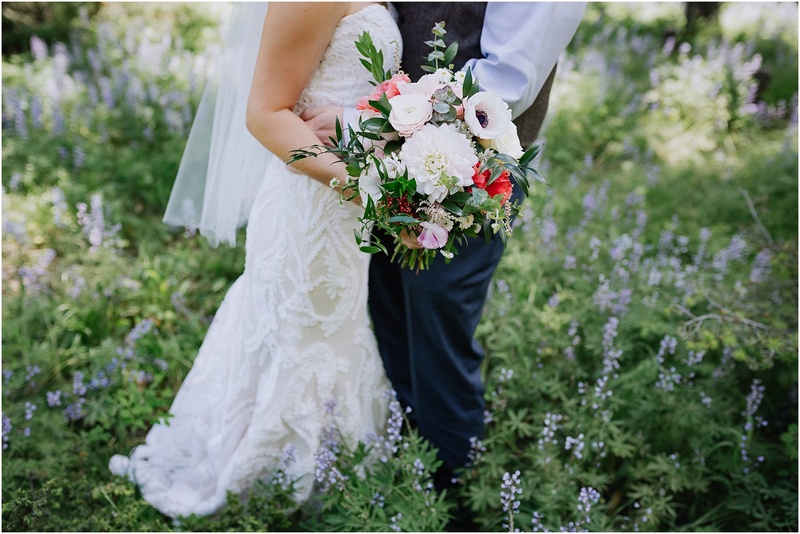 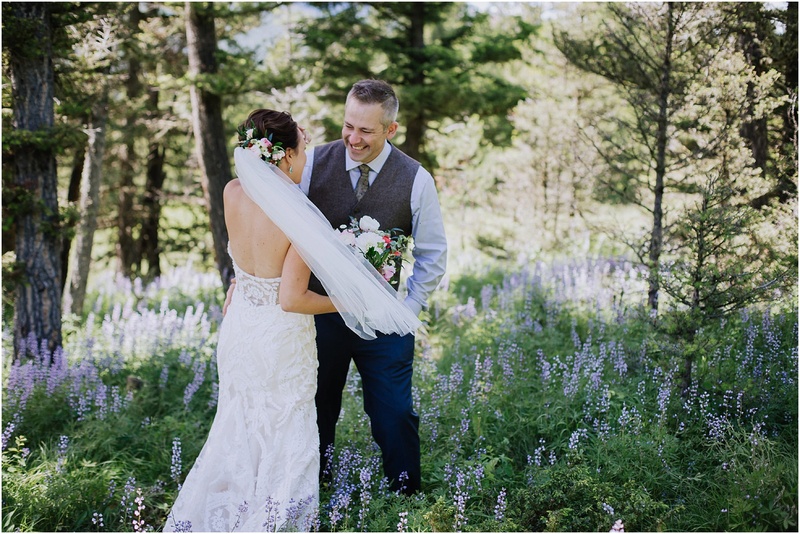 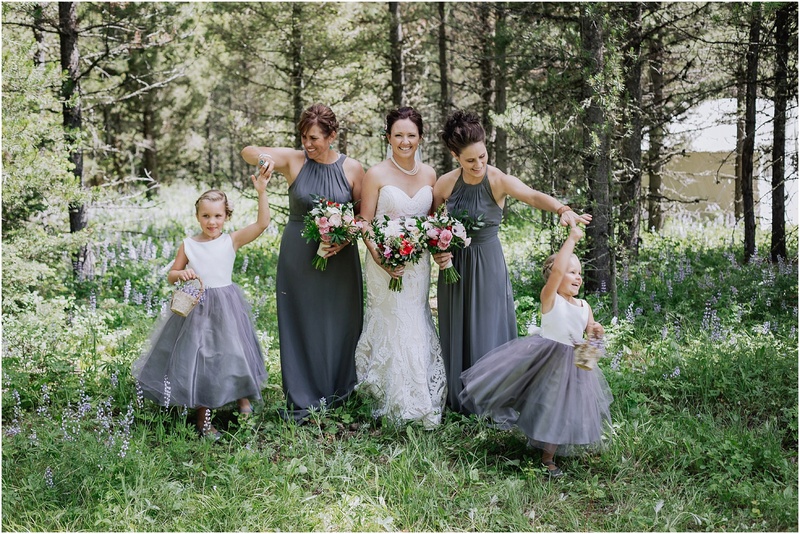 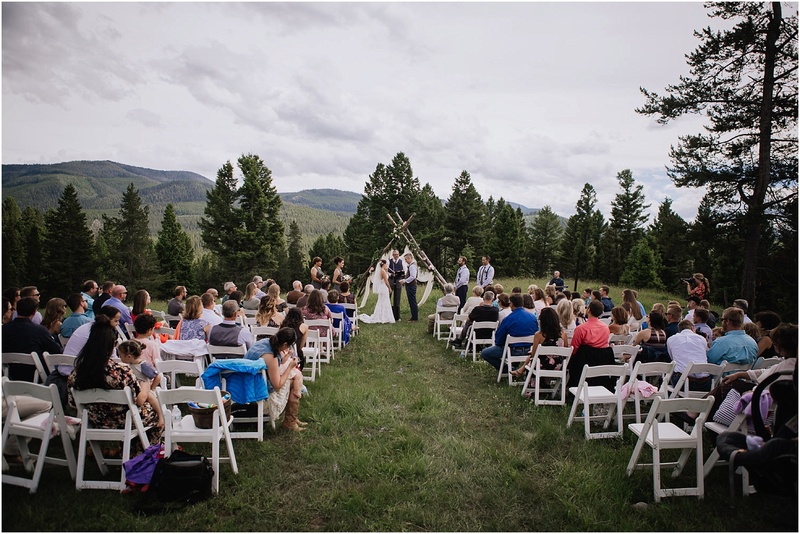 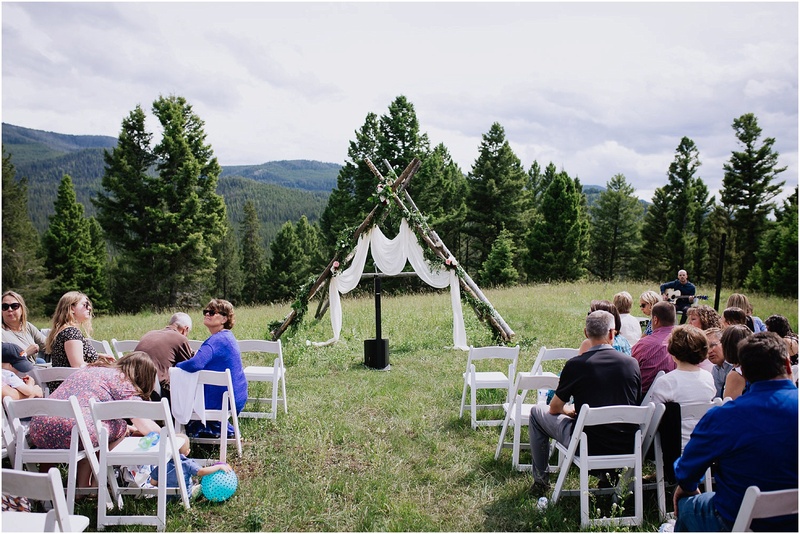 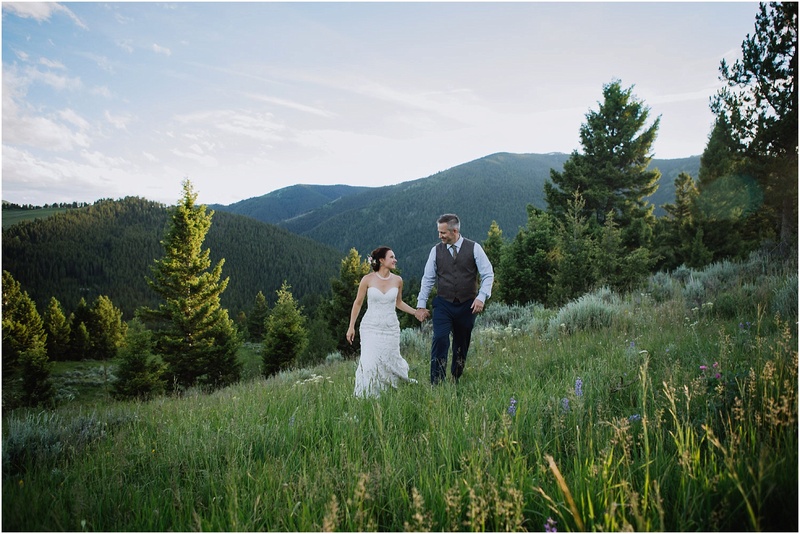 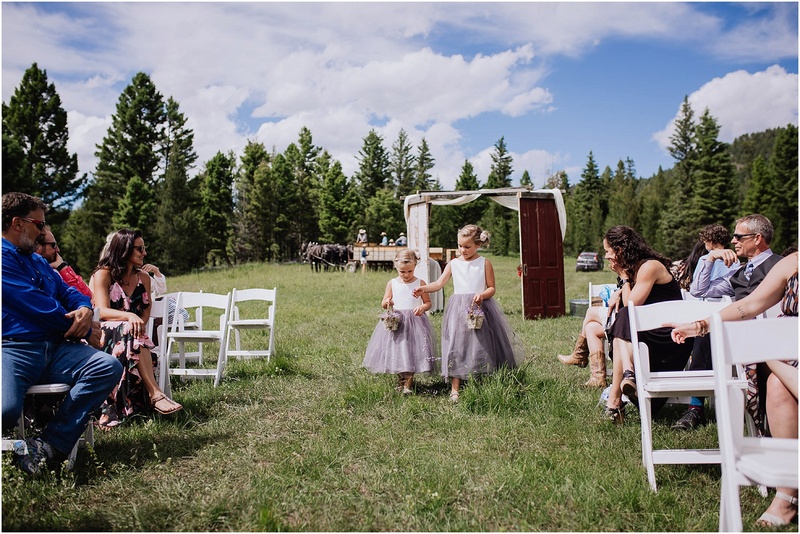 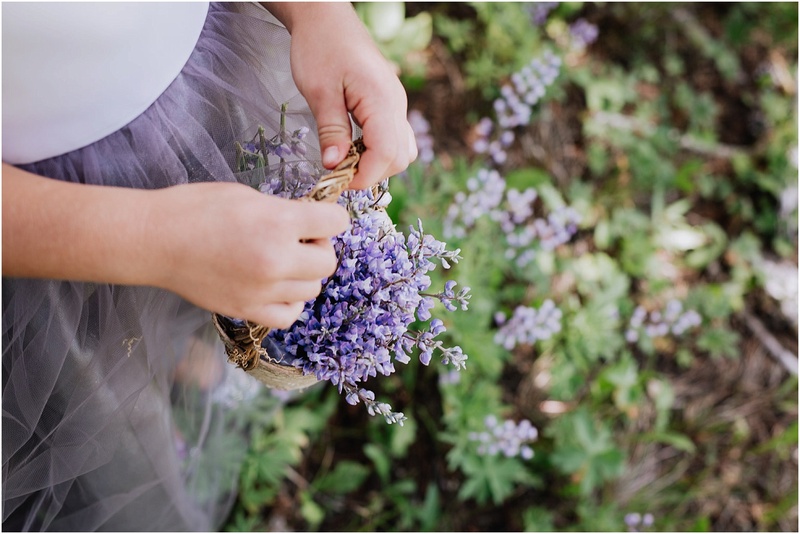 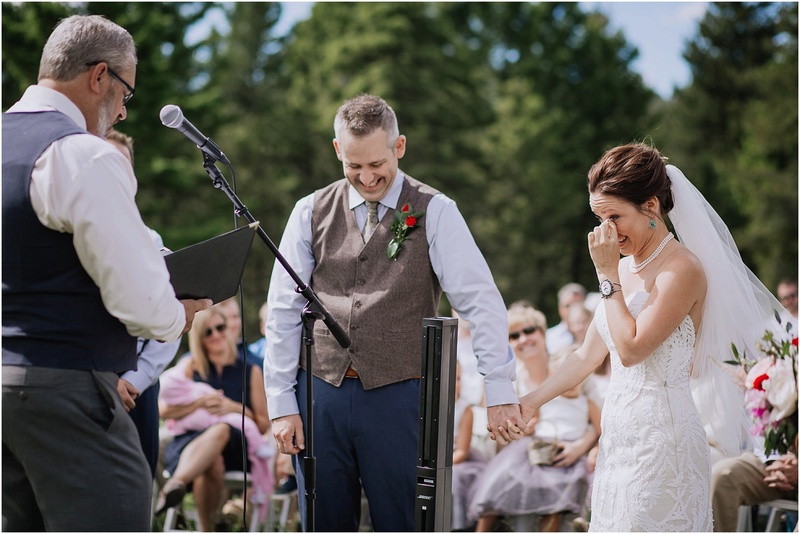 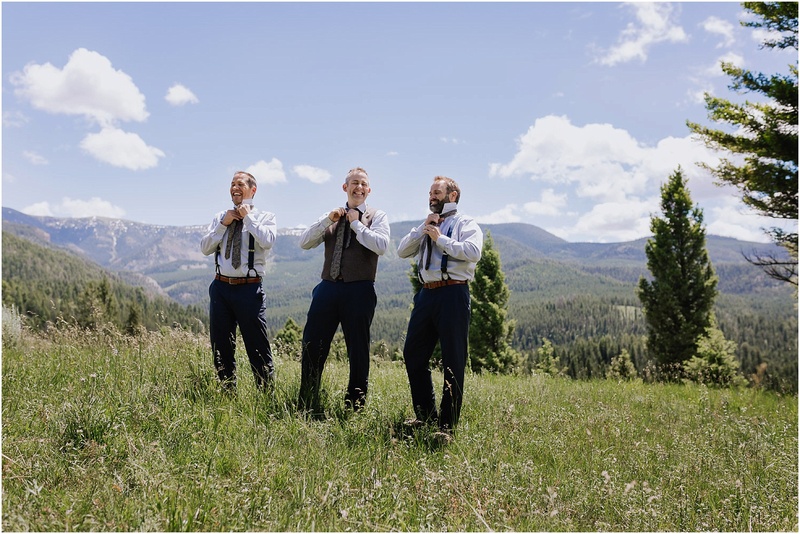 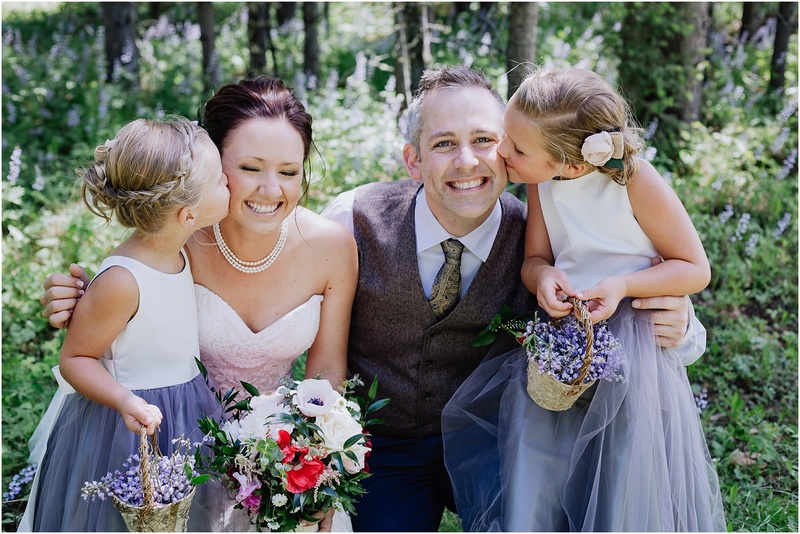 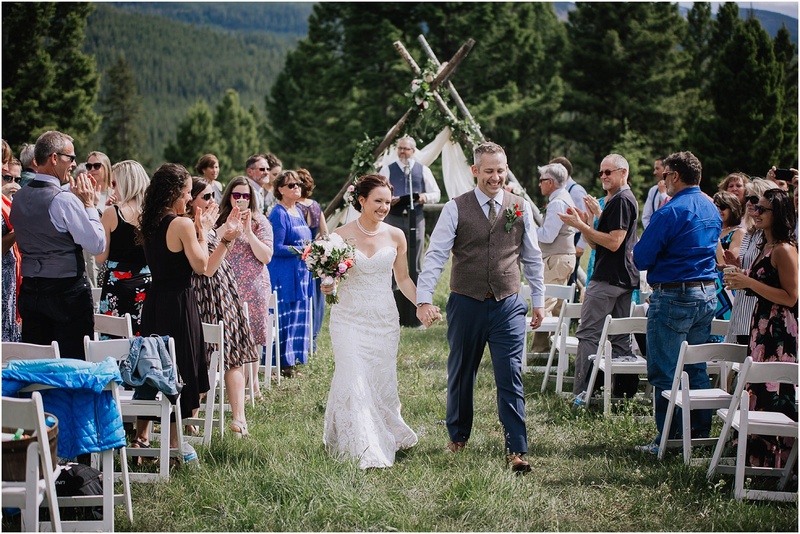 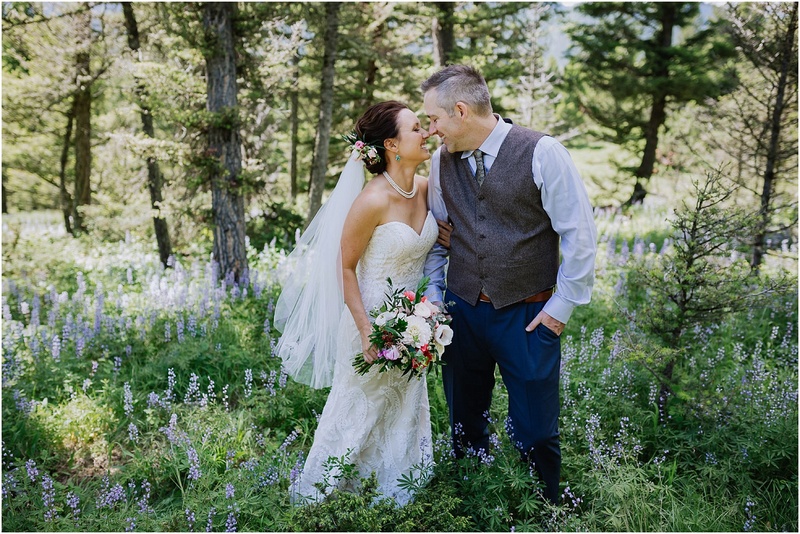 These two chose the perfect venue for their little mountain top wedding. 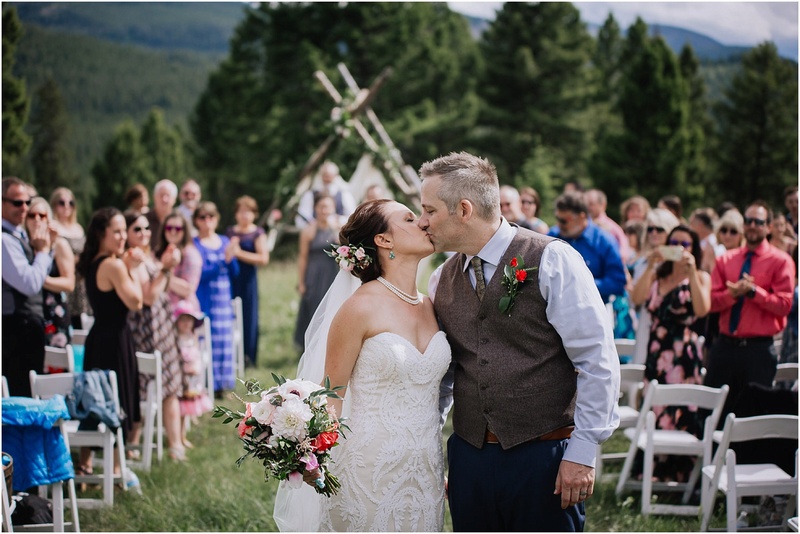 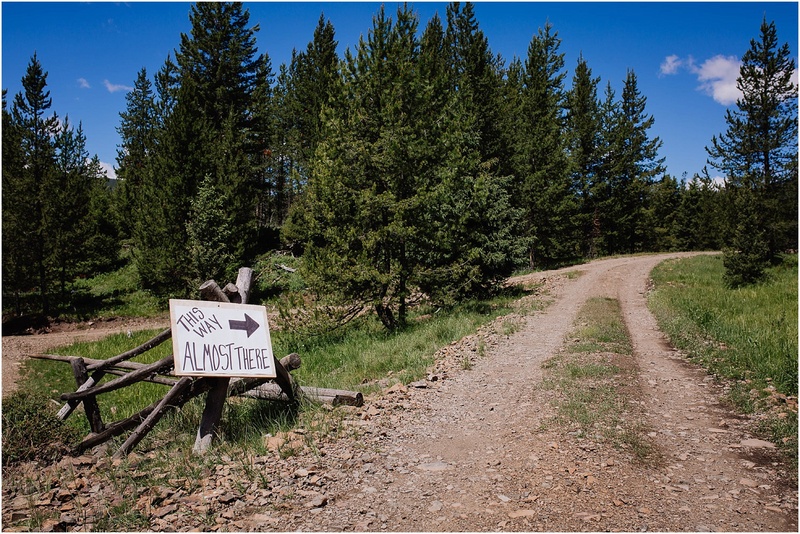 I drove up 3 miles of gravel roads, I mean straight up, IN MY CAMRY, on a mountain road, to this venue in Gallatin Canyon! 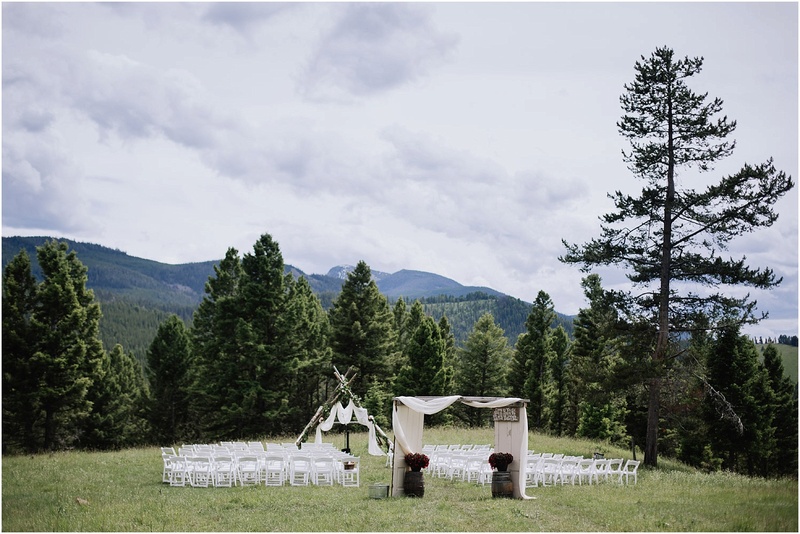 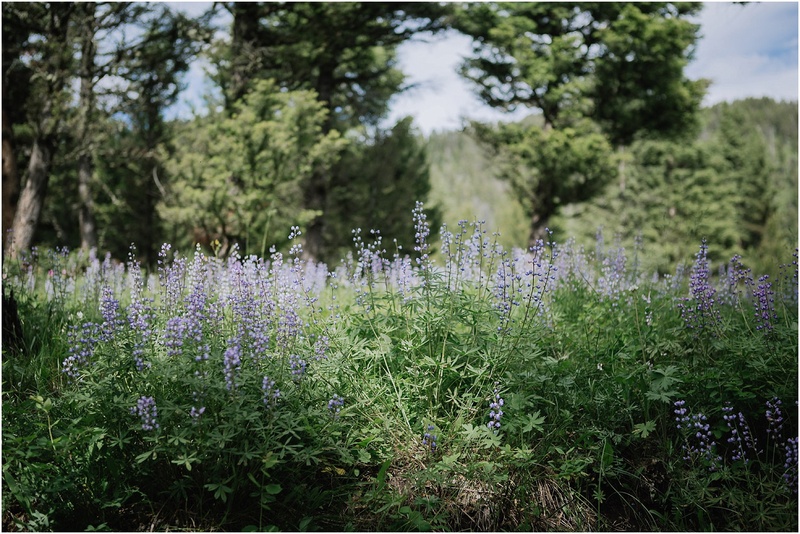 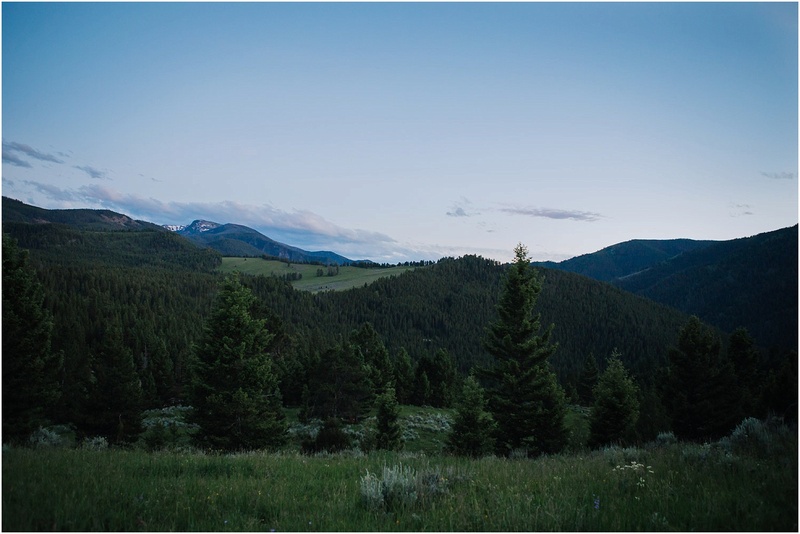 I’ll be honest when I shoot weddings at somewhere THIS BEAUTIFUL, it is almost intimidating. 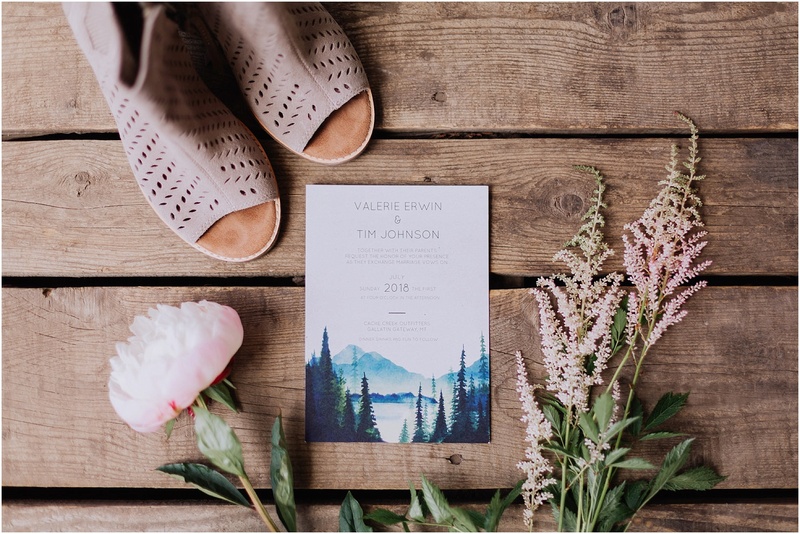 I’m sitting there like, “This is so gorgeous on its own! 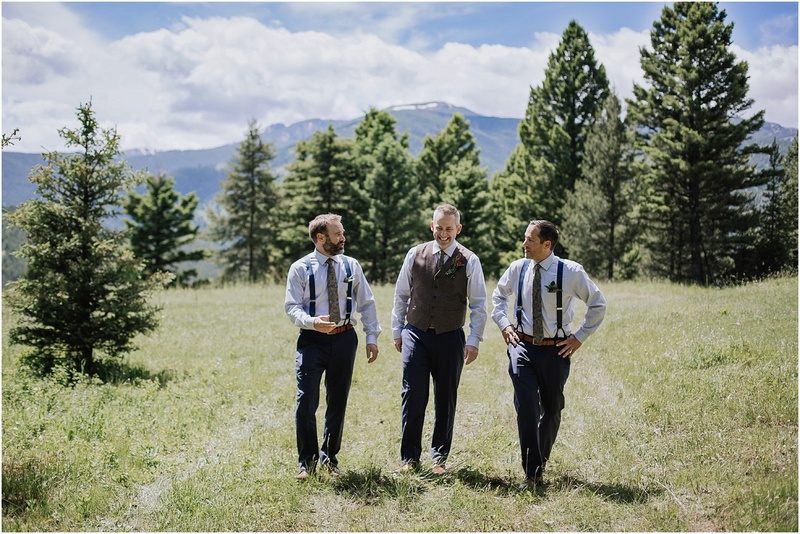 How do I capture all this epicness? 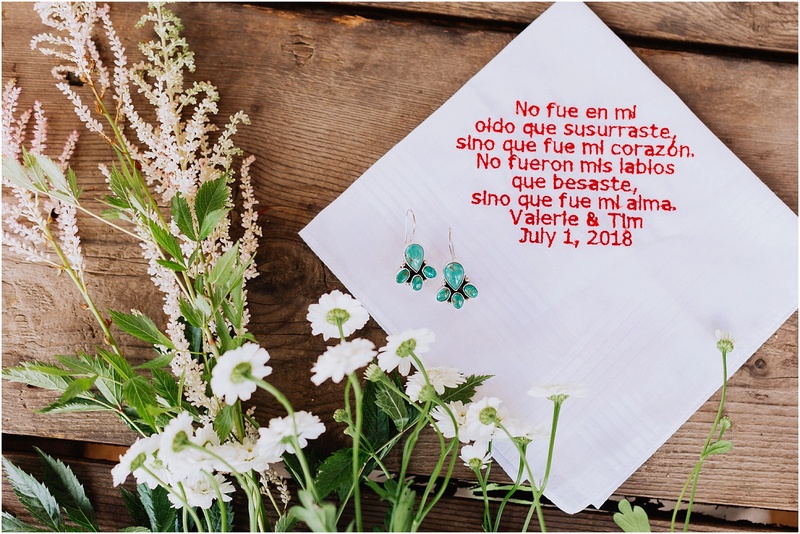 !” But Valerie and Tim made that easy. 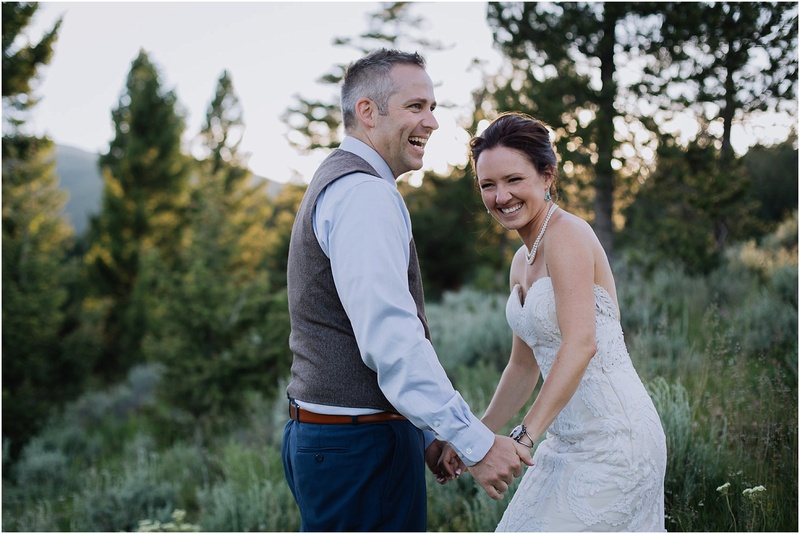 Two people that are so cleary equally crazy about each other. 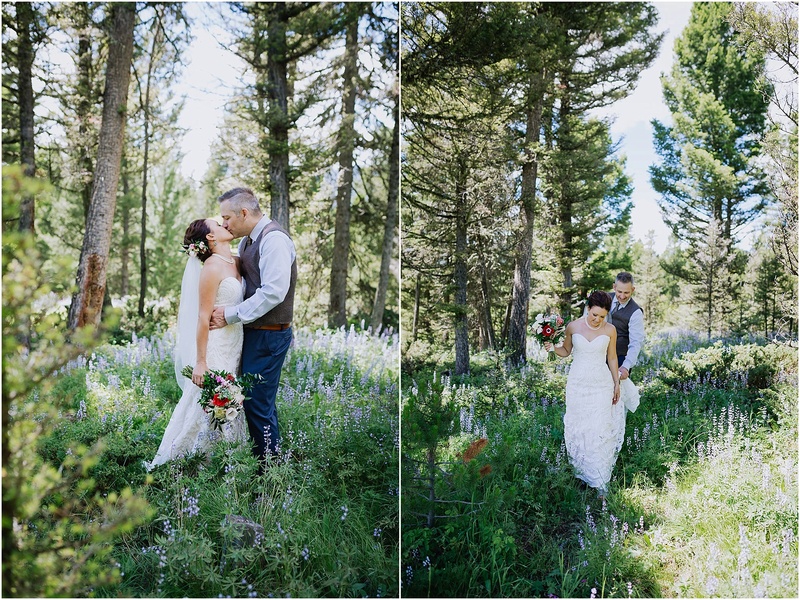 Every spin and sun soaked moment between them was beautiful. 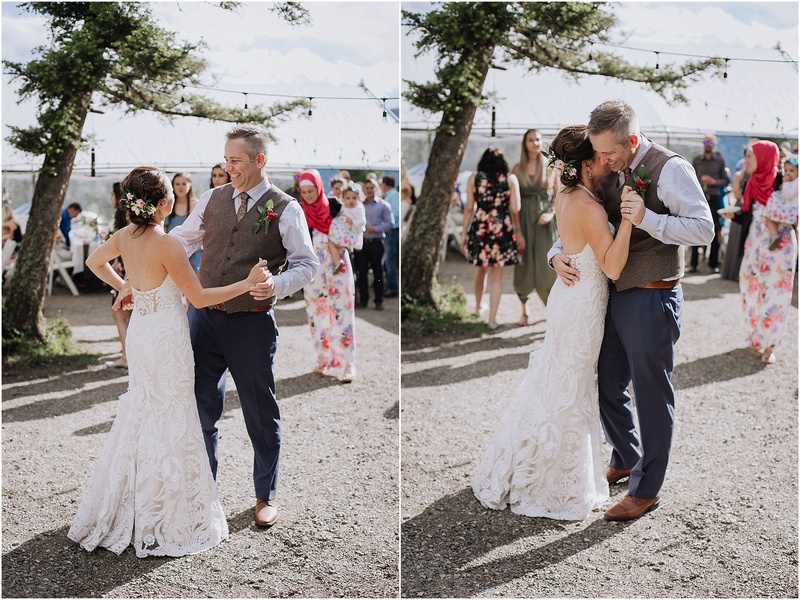 They are so meant to be and I’m so happy for them. 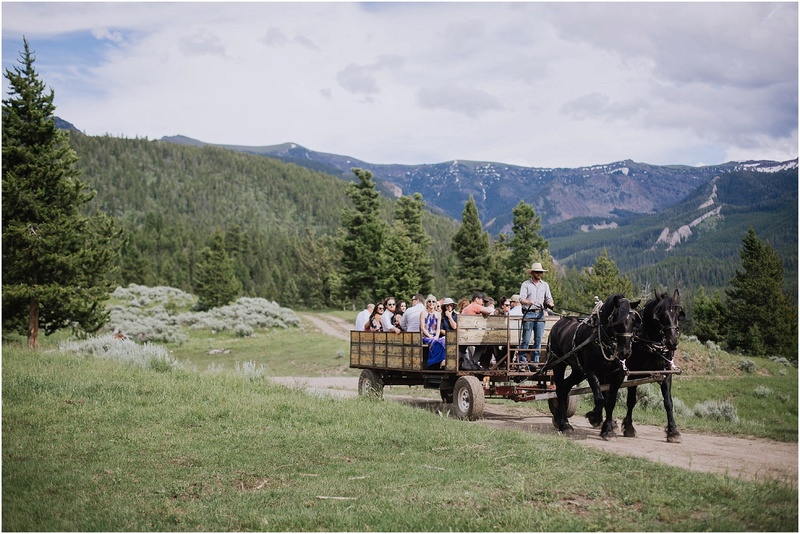 Vendors, Craftsman, and Artists that made their day even more amazing.